Before I forget… you can join us on our private Facebook Group for Blogging on the Side. We talk about tips, ideas, etc… with about 3,000 bloggers. At least three- four on YMF. Another hour is spent on this site. I try to work from 8:00 until midnight or 1… or 2 am. My husband and I work together. Now, about 3 nights a week, we quit early (around 9:00) to watch a movie or play a game – on those nights, I will sometimes wake up early and work for an hour before the kids wake up or work during rest time. I will do some social media during the day, but that’s about it. That way I can put my phone down whenever I need to, because it doesn’t “have to get done right now” and I leave the “uninterrupted times” for when the kids are in bed. PV: My Page views were much lower this month (about a million less than the past couple of months), but you can see that my income went way up. 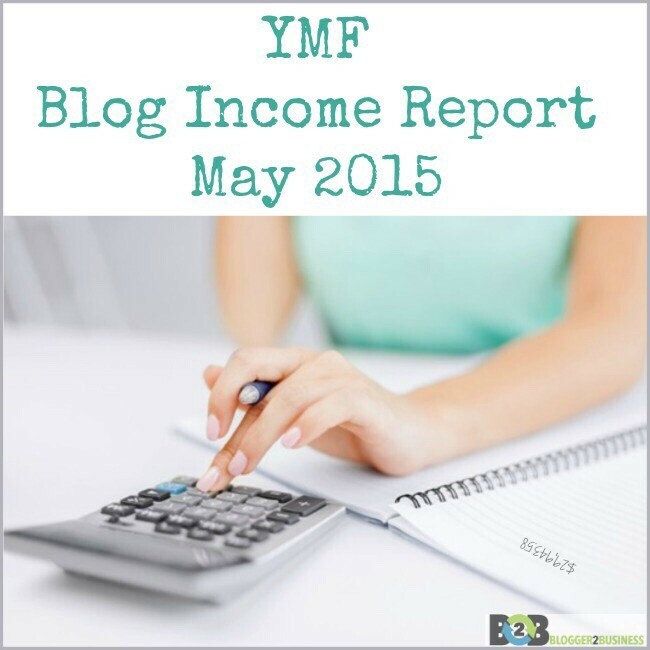 This to say that it doesn’t matter (too much) what your PVs are… it is what you are doing with your blog. BLOGGER2BUSINESS continues to grow! The plans that we have for this site are amazing! I can’t wait for you to see more. We are planning some huge things that will help you to grow your blog, grow your following, increase your page views and increase your income. 1- Started selling a second product. 3- Put specific ads on my page. 4- Wrote a new book with Paula & Holly. 6- Wrote another book with Paula, Holly, Jamie Harrington & Rachel Norman. My books: POTTY TRAIN IN A WEEKEND and You can be a Stay at Home Mom on One Income and FREED from Clutter and a new printable of my Wall-Bed instructions. 1. My goal for months now has been to get ALL of my ebooks onto paperback via Createspace – STILL WORKING ON THIS! I want to do this. It is just time consuming. 2. I am working on a project with a few bloggers where we will give 100% of the proceeds to charity. I want to get this started this month. 3. Finish my book with two blogging friends, where we will donate many, many books. 4. Start making more YouTube Videos. Mickey made a few and figured out the editing, etc… so now we just need to do more. 7:00 am- affiliate link amazon. 8:00 am- share from my wall. 9:00 am – share one of my own posts. 1- Pay off the mortgage. I don’t go in the ocean AT ALL.